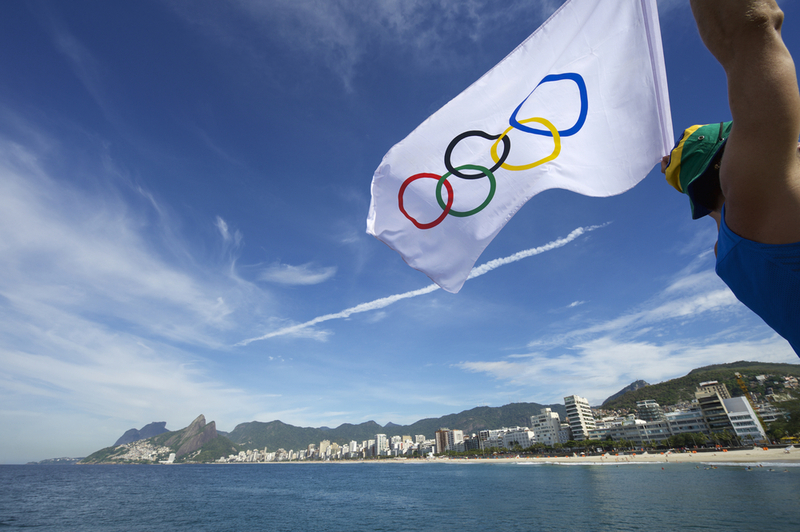 Olympic flag flies over Ipanema Beach in Rio de Janeiro, Brazil. Watching the Olympic games from Brazil on television and witnessing the dedicated athletes and the beauty of the country seems to wash away all the Olympic media controversies and scandals. 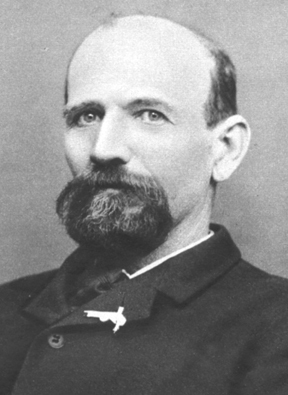 Captain Joshua Slocum, a Captain of Tall Ships and a world renowned author. All this Brazilian imagery brought to mind a Brazilian adventure experienced by a man, who became the most famous sailor in recent history, Captain Joshua Slocum. Slocum was the first person to sail alone around the world. But before he made his historic journey, he had a brief collision with Brazilian history. The year was 1893. A lot of changes had taken place in Brazil during the past few years as the country moved from a Monarchy into a Republic, governed by a Congress. Part of this transition began in 1881 and involved the discovery of a sophisticated financial tool: leveraging. Not unlike our own recent Wall Street financial leveraging, the Brazilian leveraging created inflation, and then, a financial bubble. When the bubble burst, many people were hurt, which led to political unrest. Sound familiar? 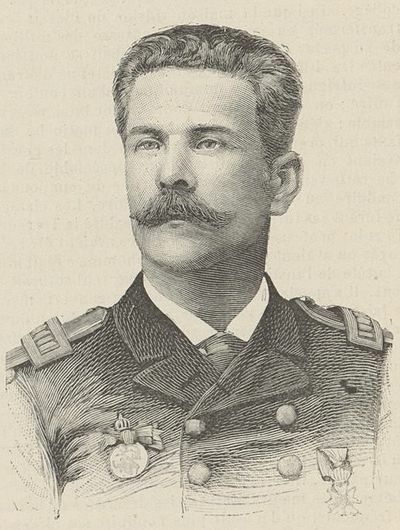 Brazilian President Marshal Deodoro da Fonseca in 1889. The Brazilian President, Marshal Deodoro da Fonseca, full of ego, decided to handle the crisis by firing Congress. This provoked such a public outcry that he was forced to resign. Then, his Vice President, Floriano Peixoto, took his place, which was against the provisions of the Constitution. Admiral de Mello, Commander of the Brazilian Navy. 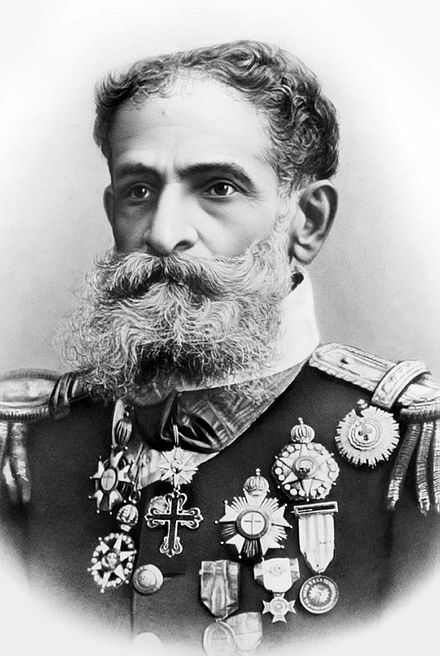 In Protest, Custodio Jose de Mello, Admiral of the sizable Brazilian Navy, threatened to attack Rio de Janeiro, where today, the Olympic games are being held. THE DESTROYER leaves the United States, Captained by Joshua Slocum. THE DESTROYER was a 150 feet long ironclad warship, that could reach a speed of 18 knots, 6 knots faster than anything Admiral de Mello had in his armada. The ship’s artillery was a brass submarine gun, 43 feet long, 8 feet below the water line, which could fire a 35 foot projectile with enough force to sink anything in its path. THE DESTROYER was designed by John Erickson, who also designed the USS Monitor, the famous ironclad Civil War vessel. THE DESTROYER at sea, being towed from the United States to Brazil through rough waters. This drawing is from McClure’s Magazine in 1900. 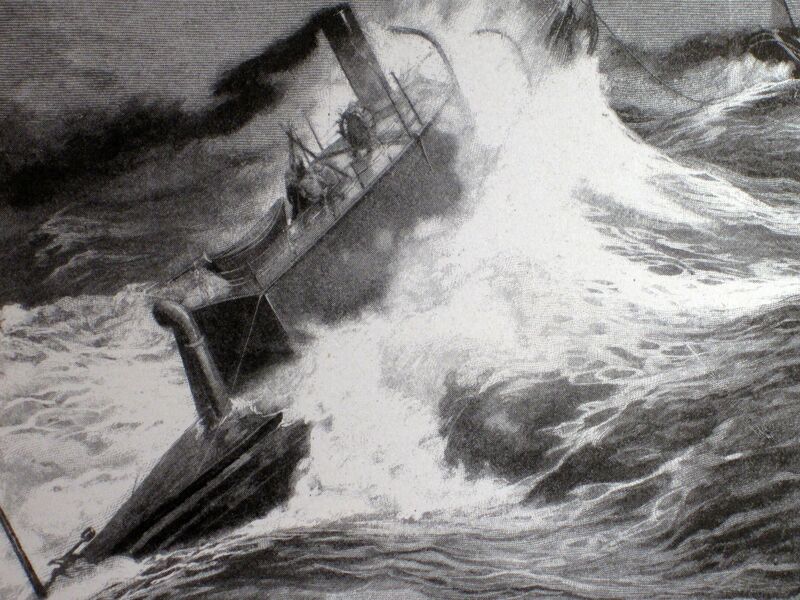 Slocum tells how THE DESTROYER, essentially a huge floating iron can, with a steam engine and cannon, needed to be towed to Brazil, through high seas battering it in every direction. It was a very rough ride. 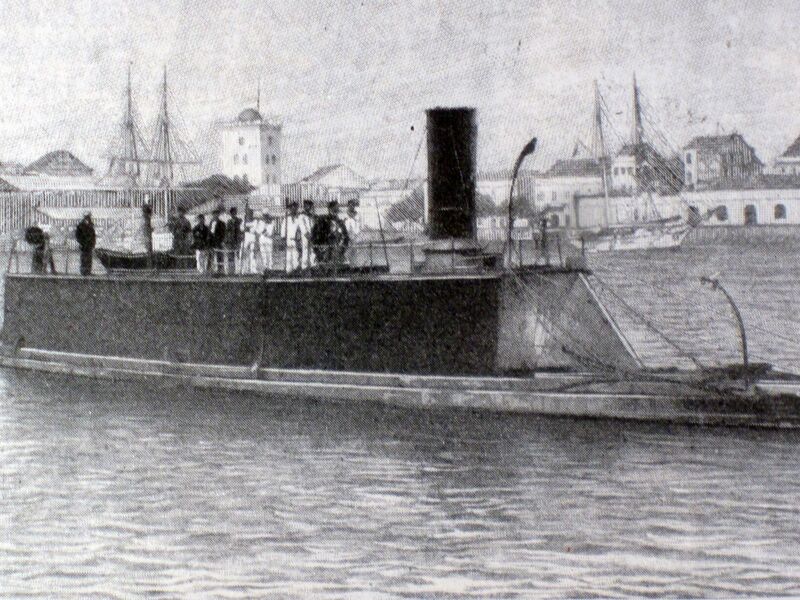 A torpedo boat named MOXOTO, also acquired by the Brazilian government, arrived in Brazil while Slocum was delivering THE DESTROYER. Now the Brazilian Army had two new weapons. Unfortunately, they took charge without learning how to operate the vessels. THE DESTROYER immediately took on a Brazilian Army crew and went out for a sea trial. When it re-appeared at the harbor, no one could be seen at the helm. All the crew members were lying on the deck, seasick. 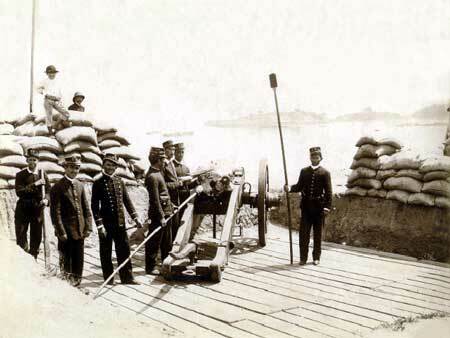 The Brazilian Army, guarding Rio de Janeiro from the Brazilian Navy in 1894. The torpedo boat had an even more bizarre ending. When it was under way and had full steam, the crew realized they couldn’t stop her. They didn’t know how. But Admiral Custodio Jose de Mello did not see the vessels come to their end. He had seen them at sea and considered them a major threat. He stopped his attacks on Rio and the attempted coup was ended…for a few years at least. So, watching the games and seeing the sights of Rio has taken me back into history and is making the Rio experience even richer.